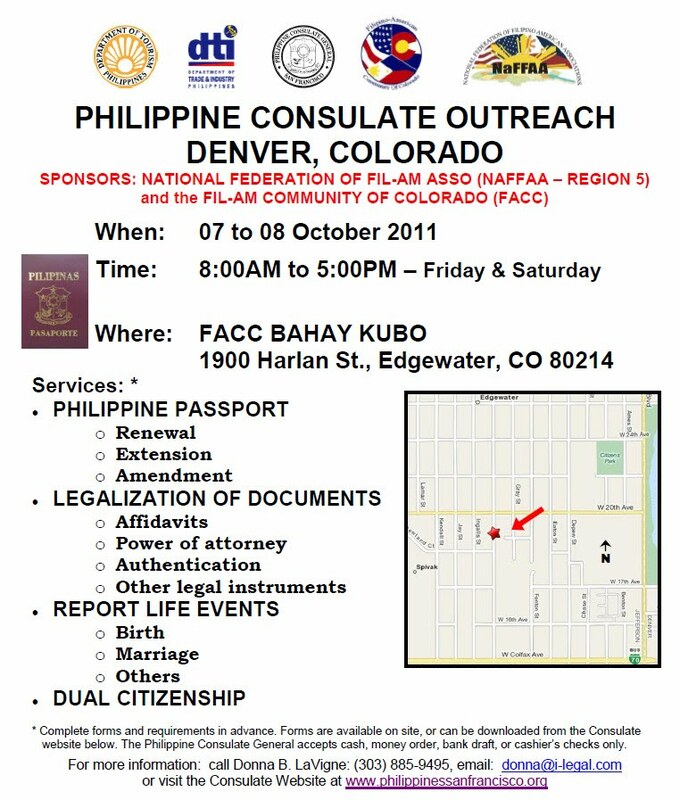 We have agents servicing major cities of Colorado and neighboring states. 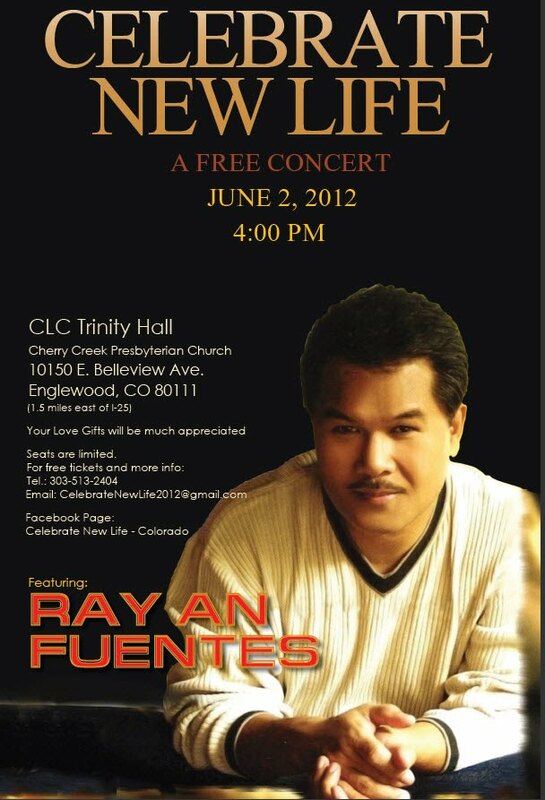 If you would like to inquire and or to schedule a pick-up. Feel free to give us a call. Moving boxes from U-Haul, HomeDepot and Lowes or similar type boxes are NOT meant for cargo transport. 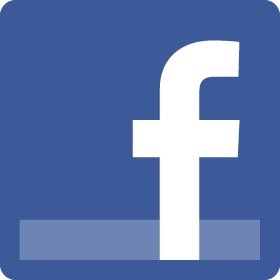 For your cargo shipping protection of your goods we NO LONGER accepting such boxes. 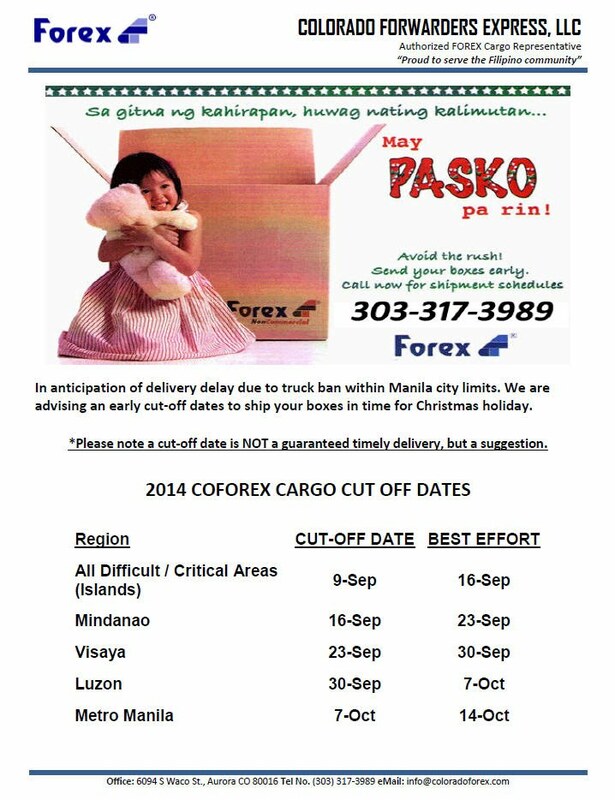 2014 COFOREX CARGO CUT OFF DATES In anticipation of delivery delay due to truck ban within Manila city limits. We are advising an early cut-off dates to ship your boxes in time for Christmas holiday. *Please note a cut-off date is NOT a guaranteed timely delivery, but a suggestion. Dec 10, 2013 Last Shipment for the Year December 10 will be our last shipment for the year. We will be taking a short holiday break and we will resume our operation on January 6, 2014. Our first shipment schedule to Los Angeles for 2014 will be on January 14. 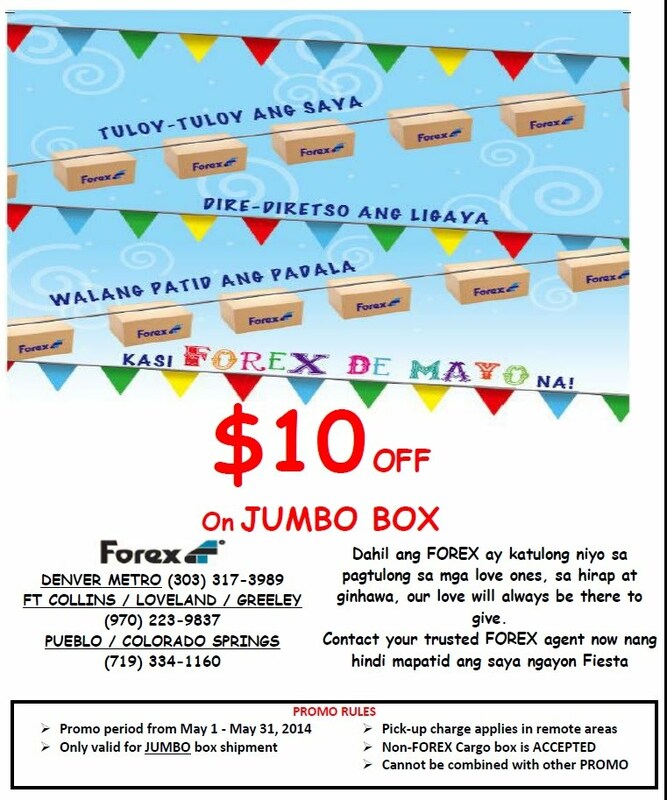 If you're sending boxes for Typhoon Haiyan Relief victims and family, our promo is valid until January 28, 2014.On behalf of Colorado FOREX family, we would like to thank you for your support and trusted us to your cargo shipments to the Philippines. We wish everyone a Merry Christmas and a blessed 2014.